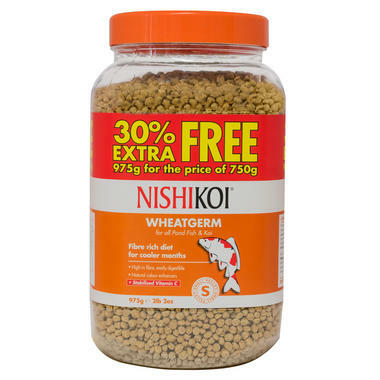 Nishikoi Wheatgerm is a low protein vegetable-based diet, complete with all the nutritional needs that your Koi and other pond fish require in the cooler months of the year. 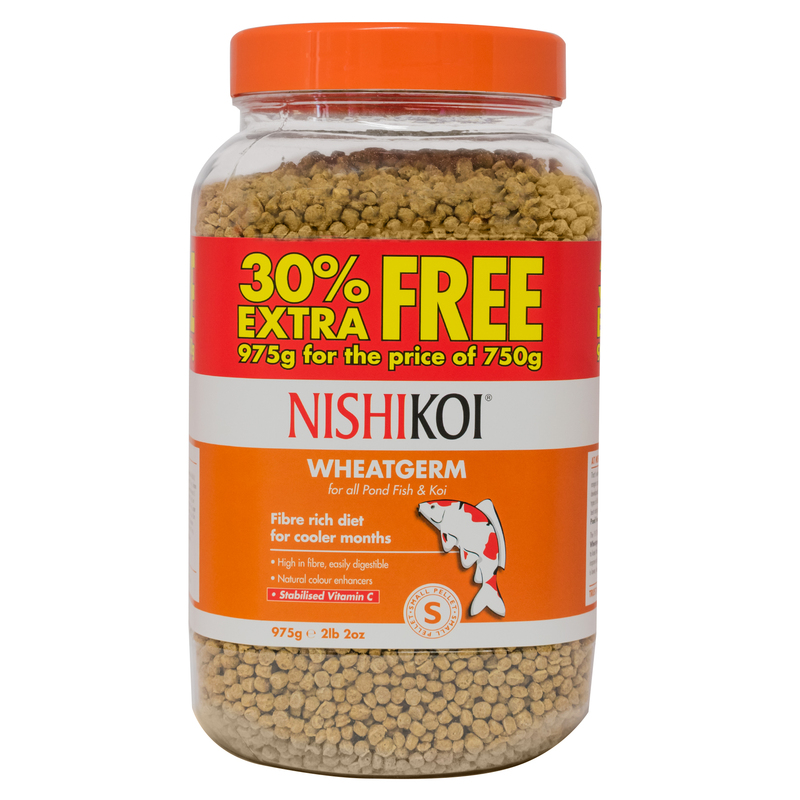 The highly digestible vegetable-based protein in Nishikoi Wheatgerm enables the fish to utilise it very efficiently, whilst helping to keep the pond water clean and healthy. The high wheatgerm content improves digestion when the fishes metabolism is slower, keeping ammonia excretion to a minimum. This is important during the colder months when your pond filter performance is low. Nishikoi Wheatgerm also includes Spirulina, Astaxanthin and Canthaxanthin colour enhancers, along with stabilised Vitamin C to give your fishes immune system a much-needed boost.